Please fill out the following form, and we will send you the materials that you request. Please allow 4-6 weeks for shipping and handling. 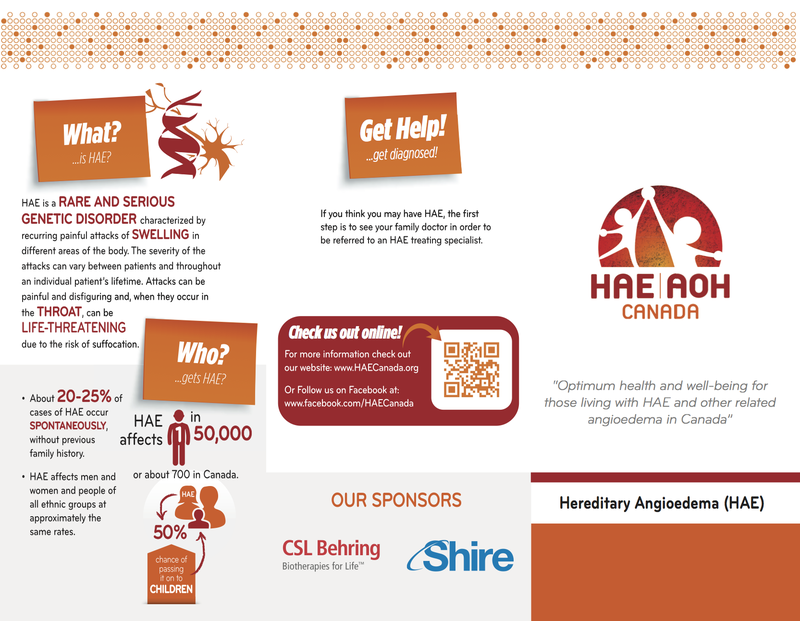 A brochure that tells people a little bit about HAE and HAE Canada. 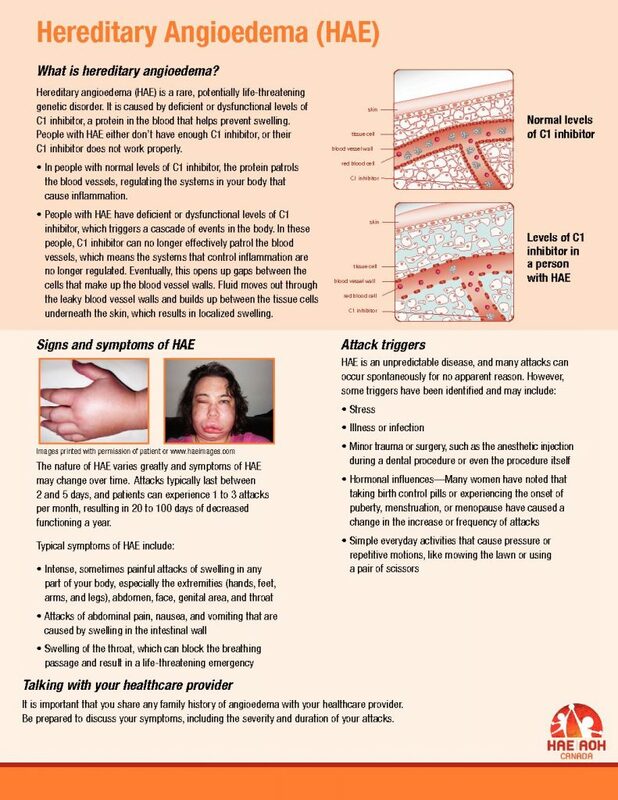 A good resource for patients and doctors alike. It has more specific information about HAE. 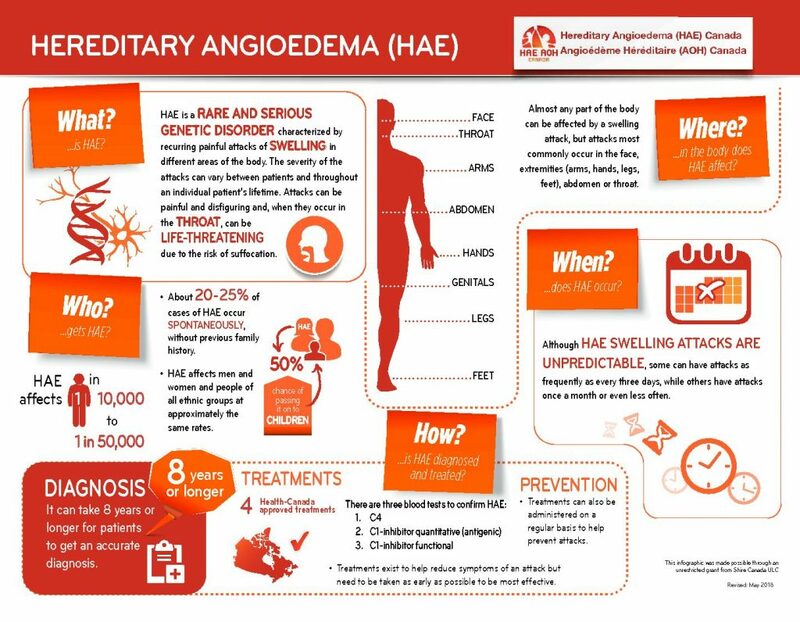 An easy to read infographic about HAE in Canada. 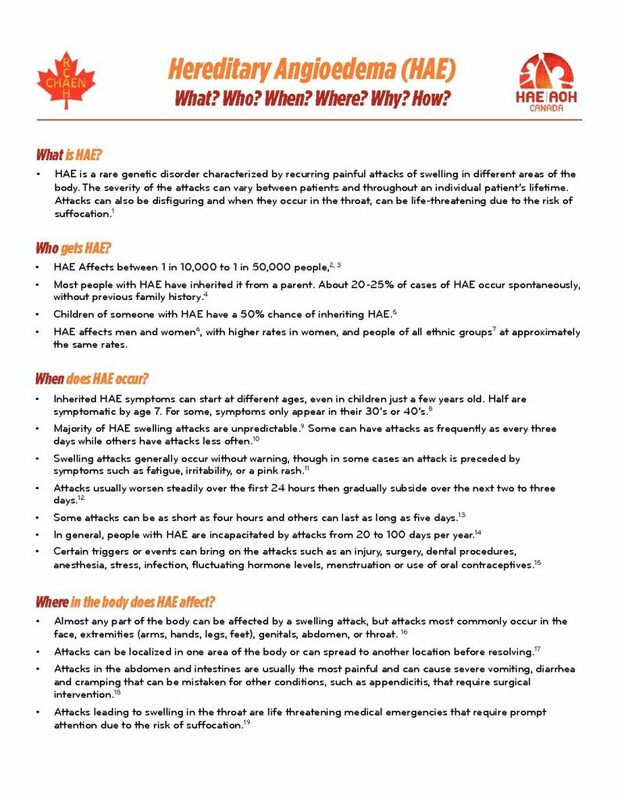 A handy factsheet that answers many of the commonly asked questions about HAE. This version includes references for members who are interested in reading more about HAE.